Corvette Racing’s No. 3 car drew a lot of the headlines during the 2018 IMSA WeatherTech SportsCar Championship season. But its No. 4 car helped carry the flag for the brand and the No. 3 car’s title hopes during Motul Petit Le Mans. Tommy Milner led a pair of practice sessions and had the No. 4 car poised to qualify well, but the car slipped to eighth in a tight session. Alas, Milner, Oliver Gavin and third driver Marcel Fassler played a key part in the race. Despite starting eighth, Milner was up to third within the first 40 minutes of the race. That was the springboard to launch an overall great race for this car. Milner, Gavin and Fassler consistently stayed in the top three all race. When it came down to the final hours and after Antonio Garcia’s incident, the pressure mounted for the No. 4 car to get ahead of Garcia’s rival car in the championship fight, the No. 67 Ford GT. Milner was conscientious about not wanting to affect the championship battle, but also wanting to fight for the race win. A class win has eluded him throughout his career at Petit Le Mans. Ultimately, the No. 4 Corvette made it up to second place. This trailed the No. 911 Porsche in the race but it was a result strong enough to deny the No. 67 Ford the position to win the title. “Goal number one was to help the No. 3 car,” Milner said. “Secondarily to that was for us to get a win. And thirdly, for us, there was a small hope for third in the championship, which we got. So it was almost all the boxes ticket! We can’t be upset with the race today. “The pace was good all race long. Over the long run, short lap, whatever we needed the car had. For us, the race came down to towards the end. The 67 had an issue when it was leading, and then the 24 (BMW) and 911 got by, and then I was next. I wanted to be as nice as possible with them, and I didn’t want to make any contact. But I didn’t know the points situation at that point. I lost time to the 911… and that was the gap. Milner and Gavin had a year where they never seemed to be the outright fastest car, but always seemed to collect decent to great results. With 10 top-six finishes in 11 starts, they were consistent enough to climb to third in points. 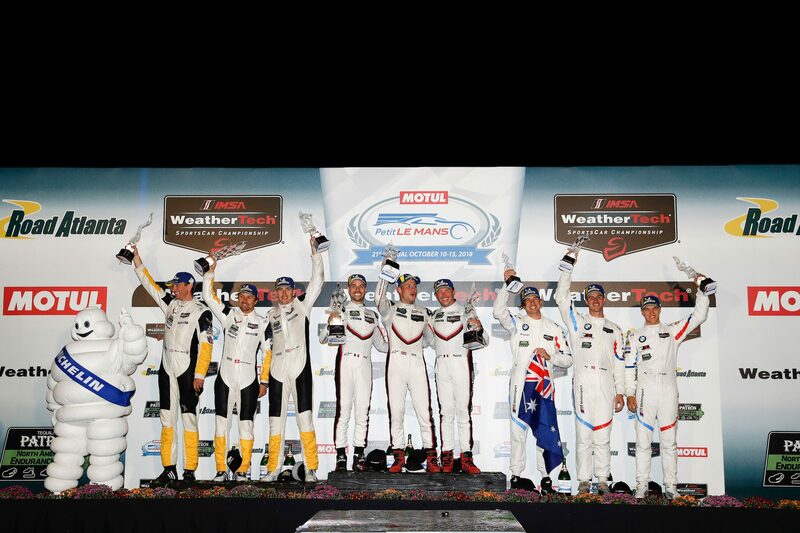 Although they won at Long Beach, the weekend at Road Atlanta seemed to be the No. 4 car’s strongest throughout the season. “Consistency-wise throughout the weekend, practice was good, but qualifying didn’t go our way which was unfortunate,” Milner said. “But fortunately, that doesn’t matter. Gavin and Milner’s seasons aren’t done yet. 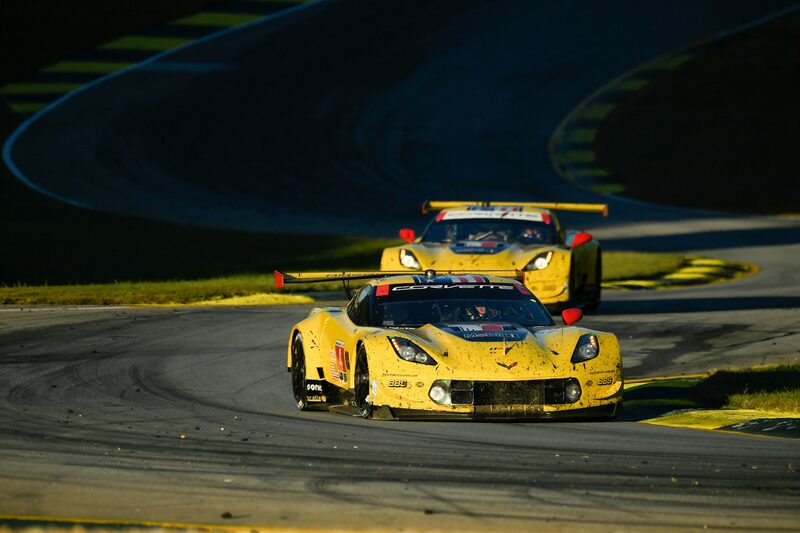 They’ll also race with Corvette Racing at the next FIA World Endurance Championship race weekend in Shanghai, China in November.